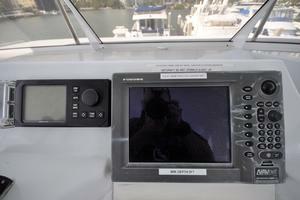 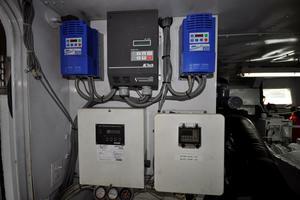 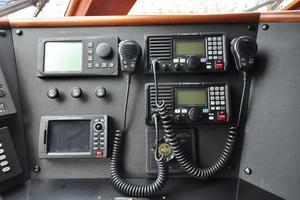 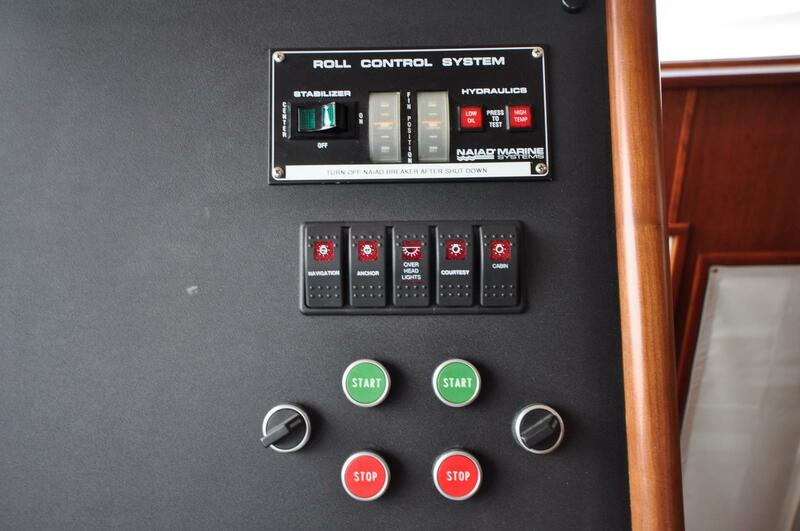 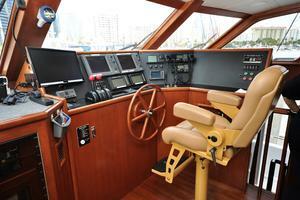 Are you ready to own this one of a kind Luxury Motor Yacht? 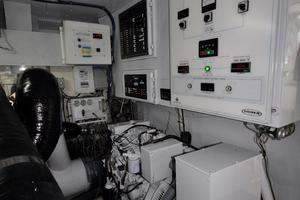 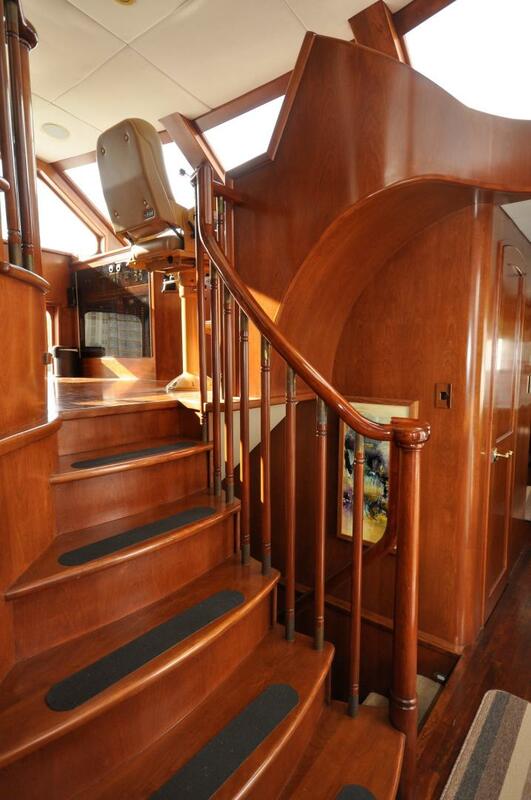 This custom built luxury motor yacht was built in Canada in 2001, by such greats as Naval Architect, J. 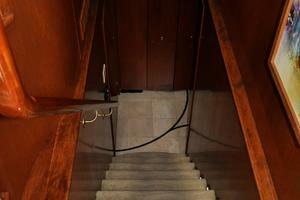 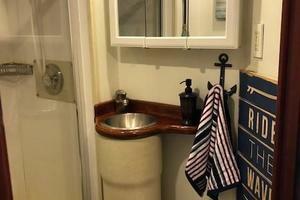 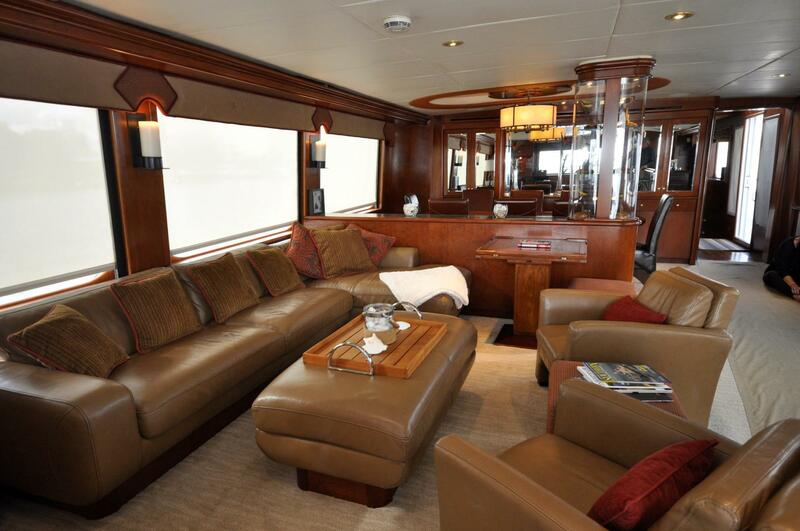 Van Halterman, Exterior Designer, Bristol Harbor Design and Interior Designer, Eliman Charest Yacht Interiors. 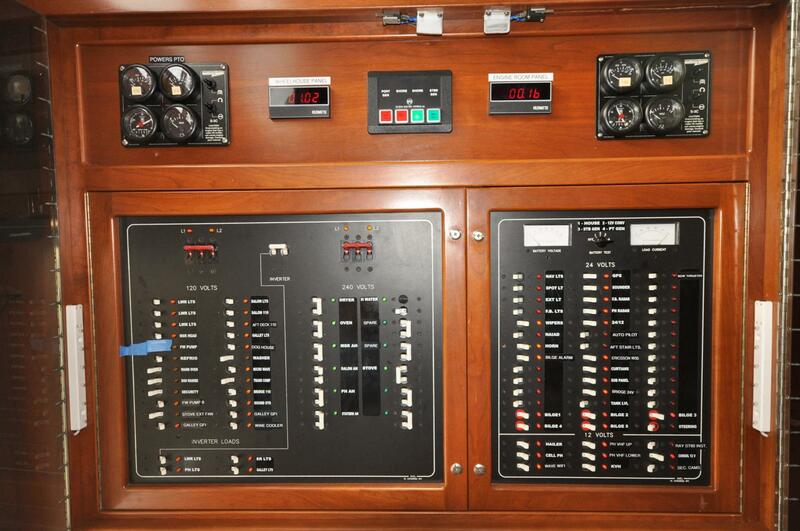 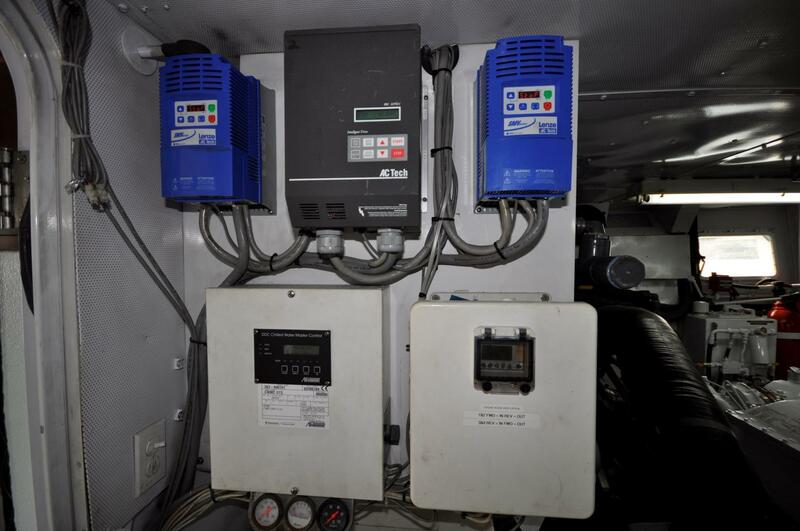 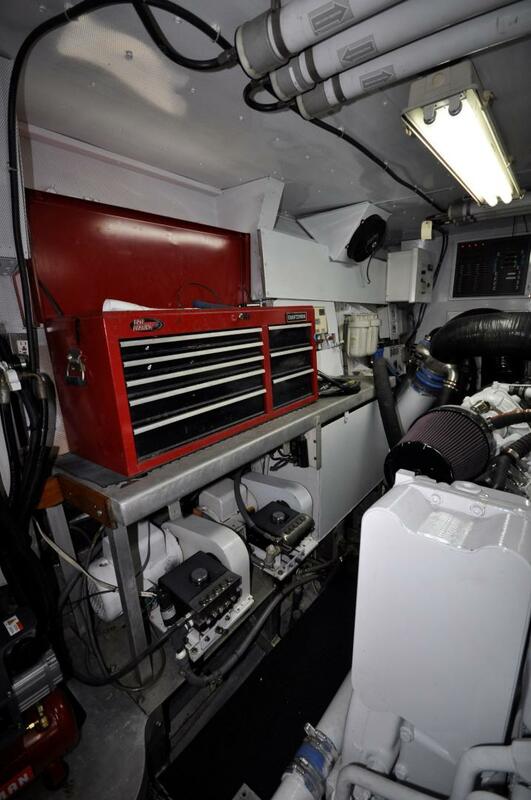 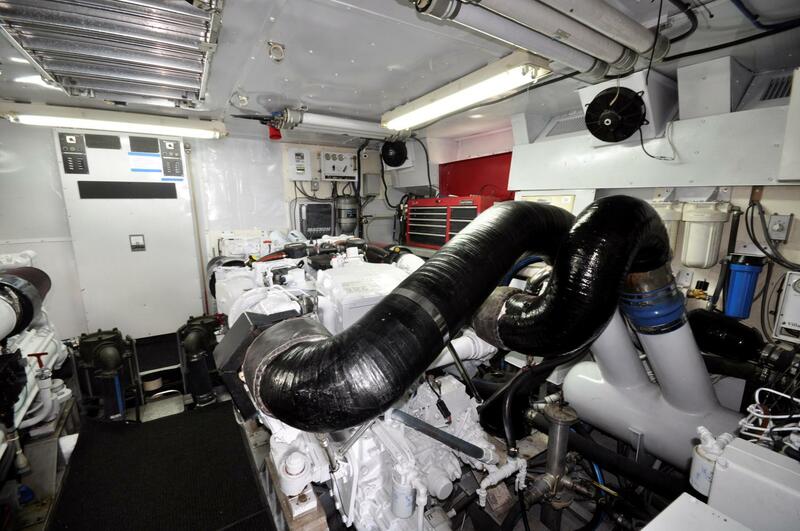 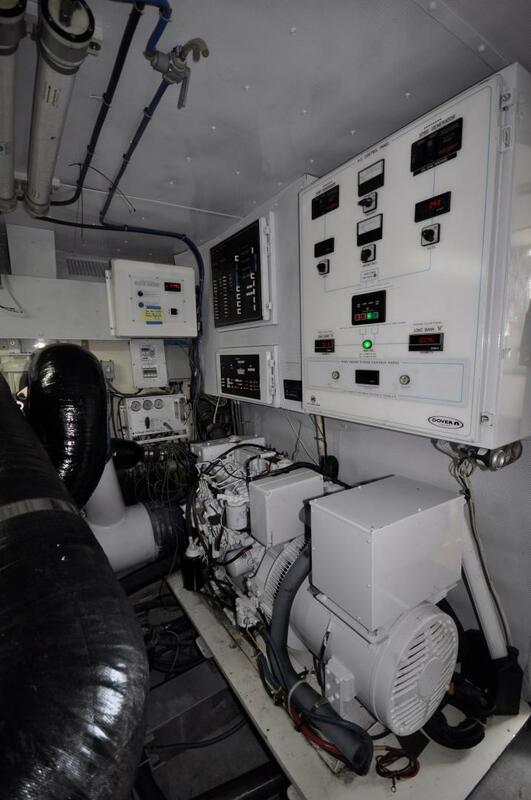 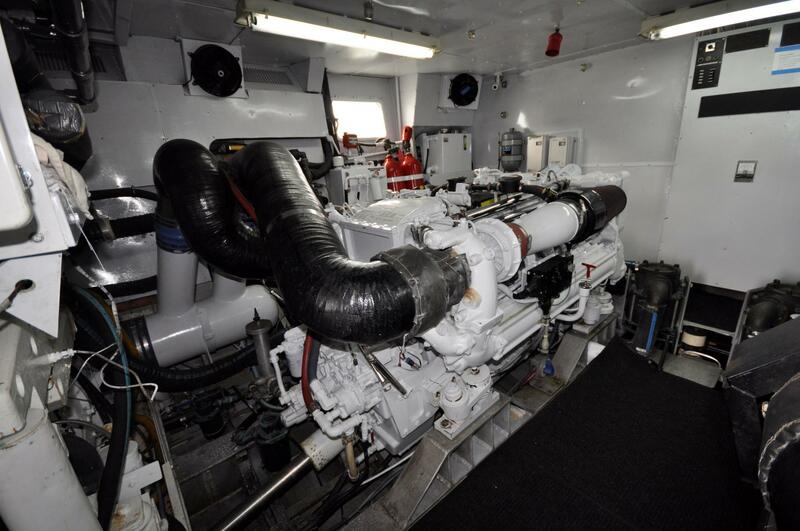 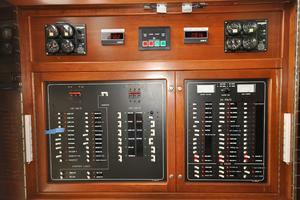 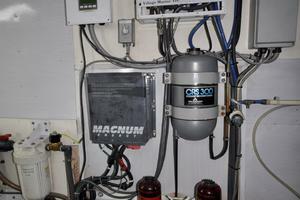 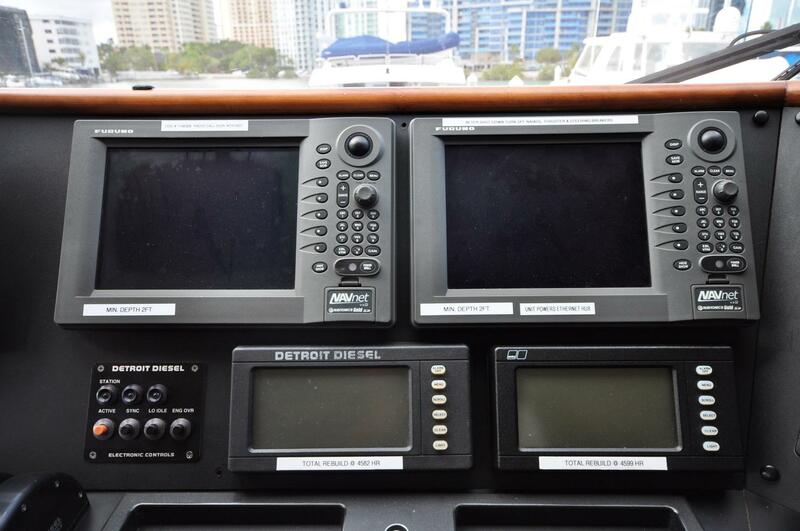 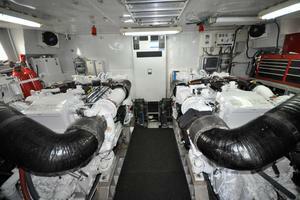 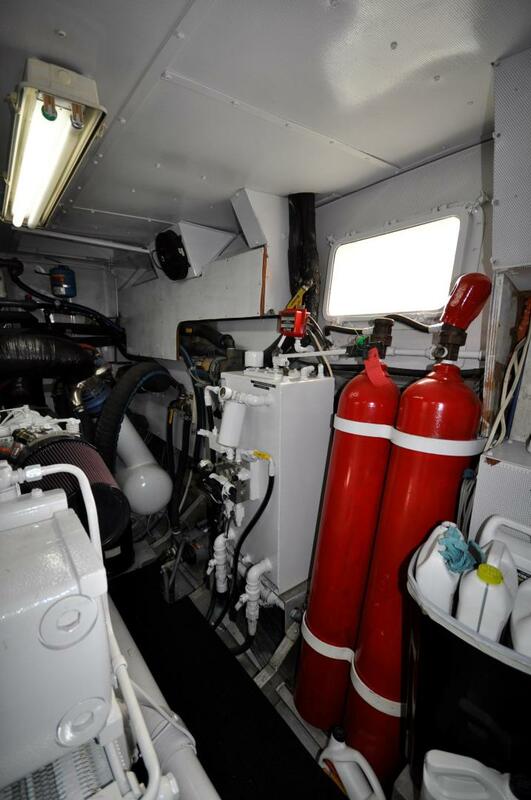 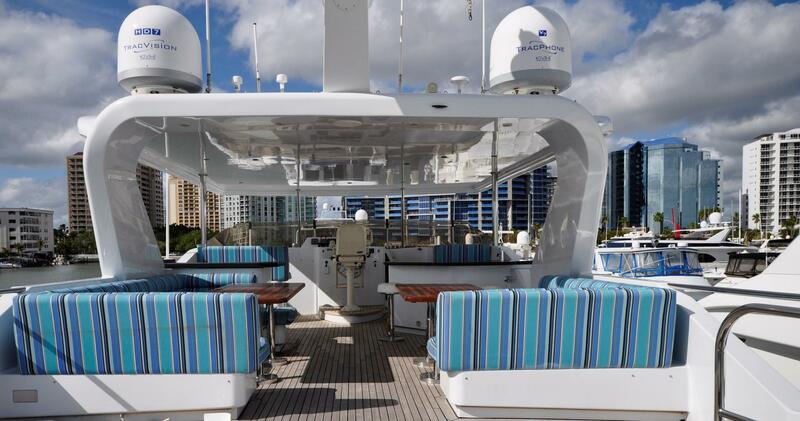 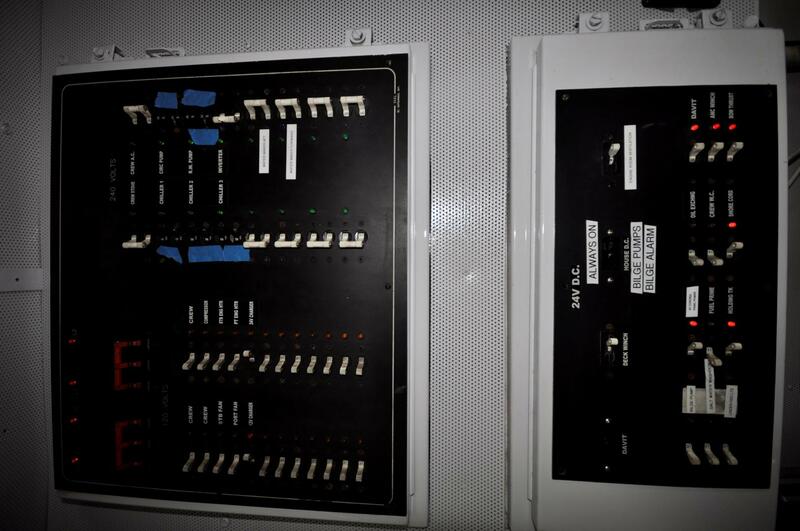 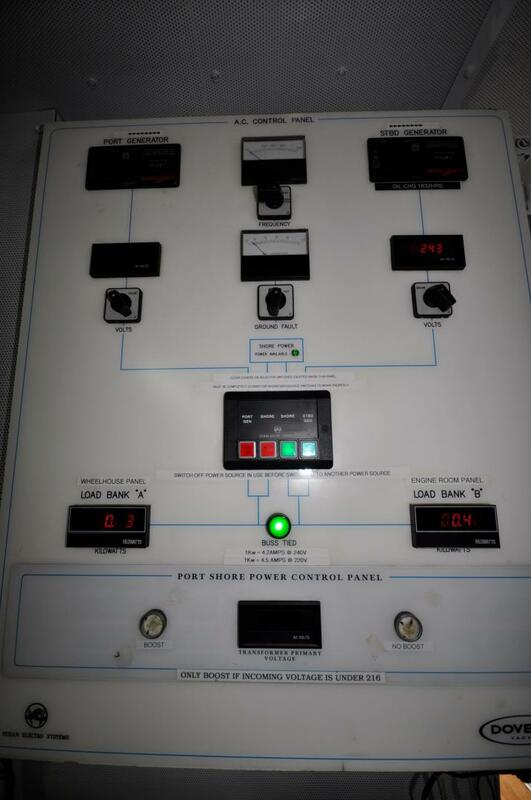 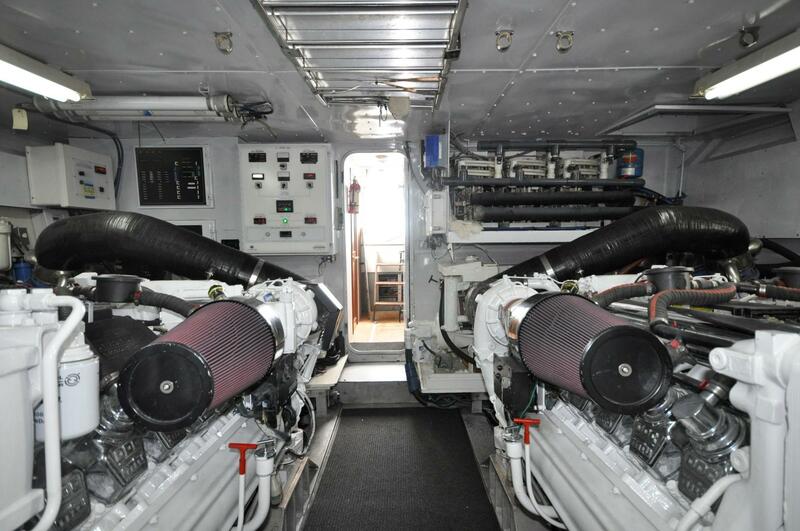 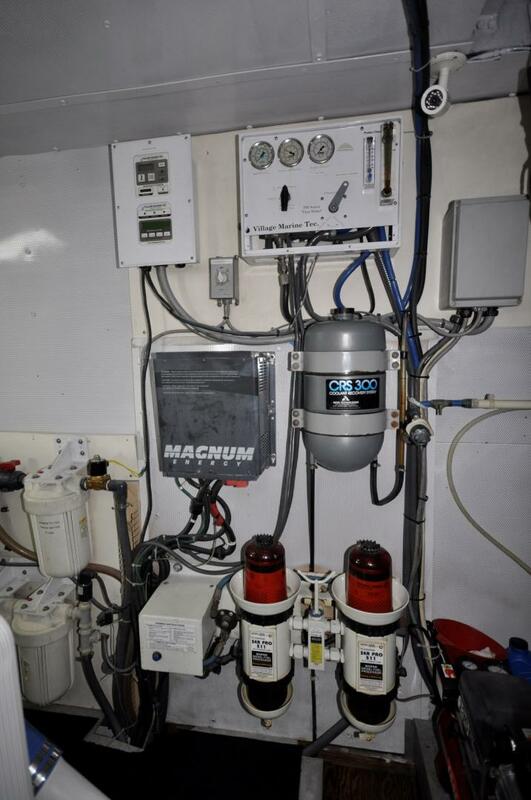 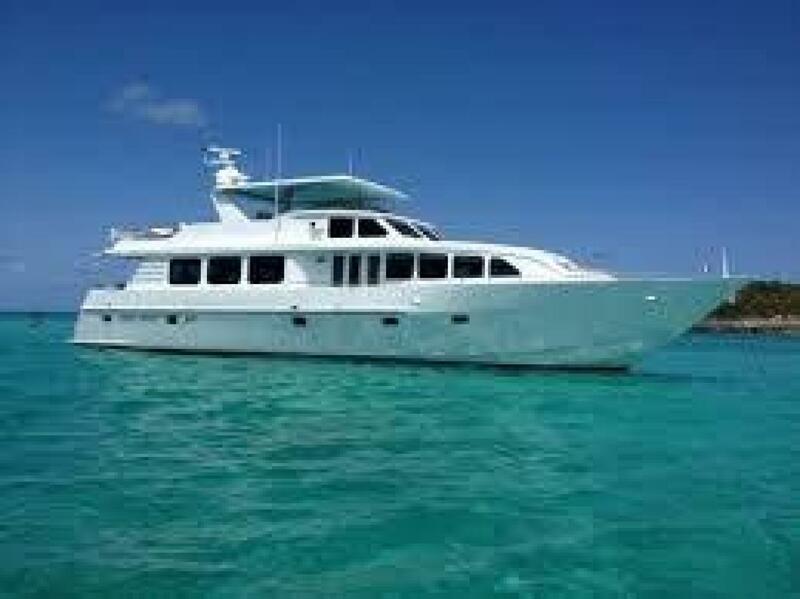 This luxury motor yacht underwent an extensive 1.5 million dollar refit in 2011 including major overhauls of main engines. 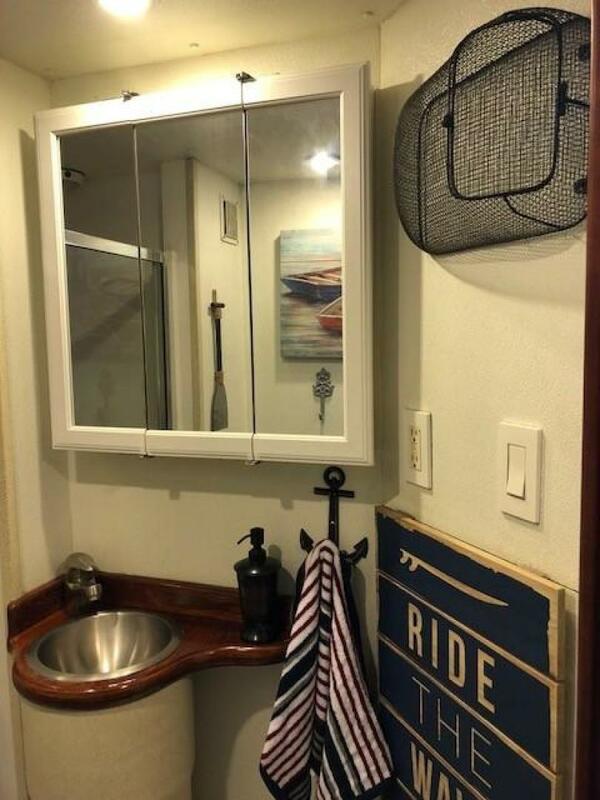 Beautiful, warm and contemporary open design concept. 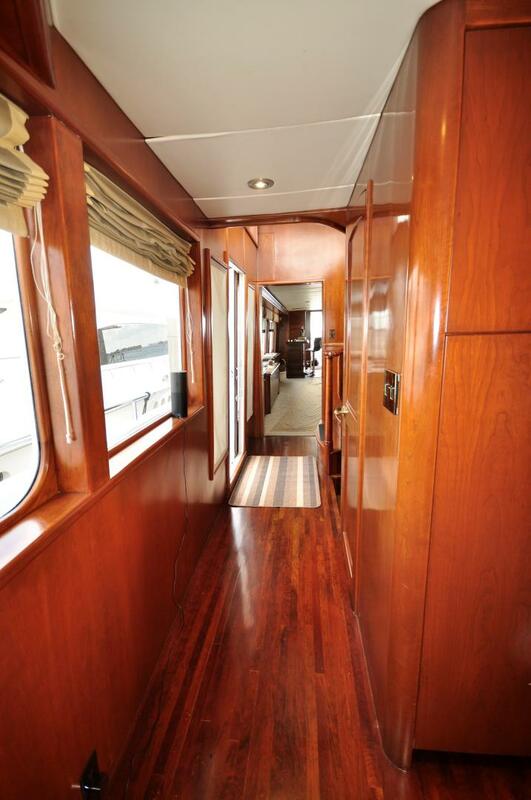 Interior exquisite finishes, beautiful cherry wood, and panoramic windows. 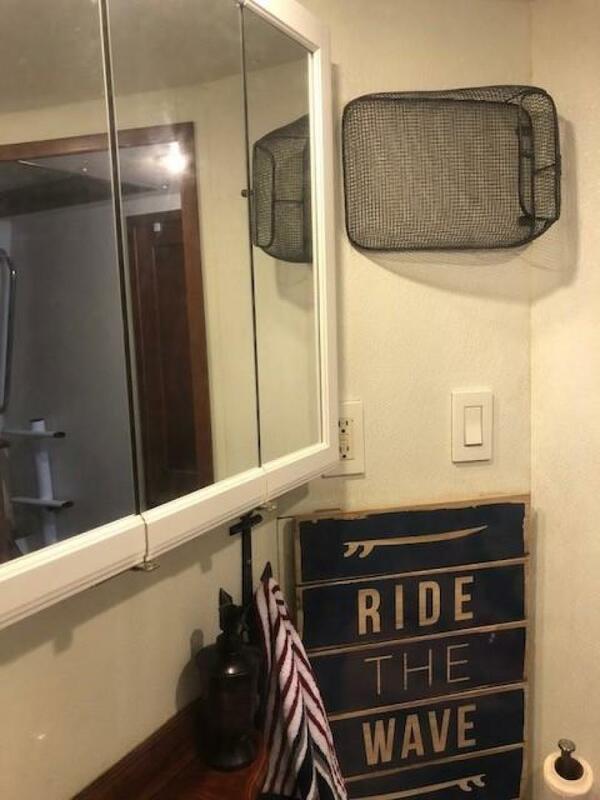 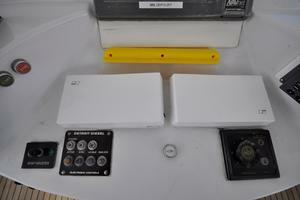 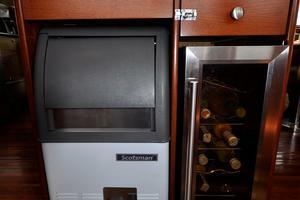 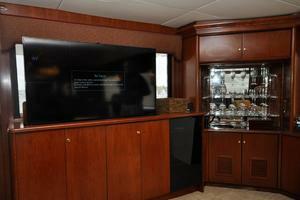 Large entertainment areas throughout. 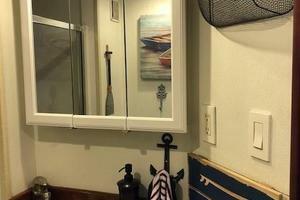 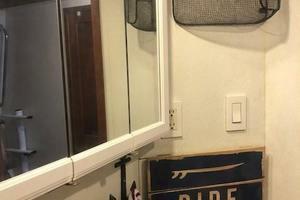 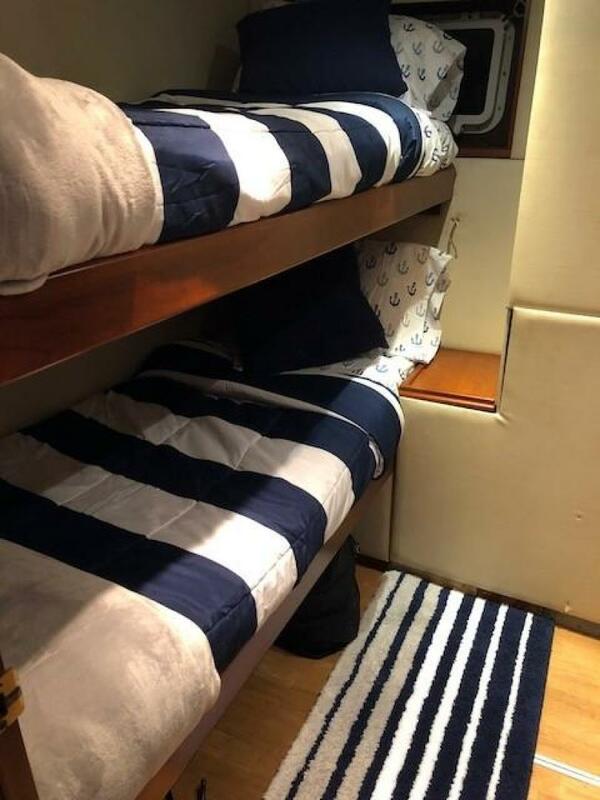 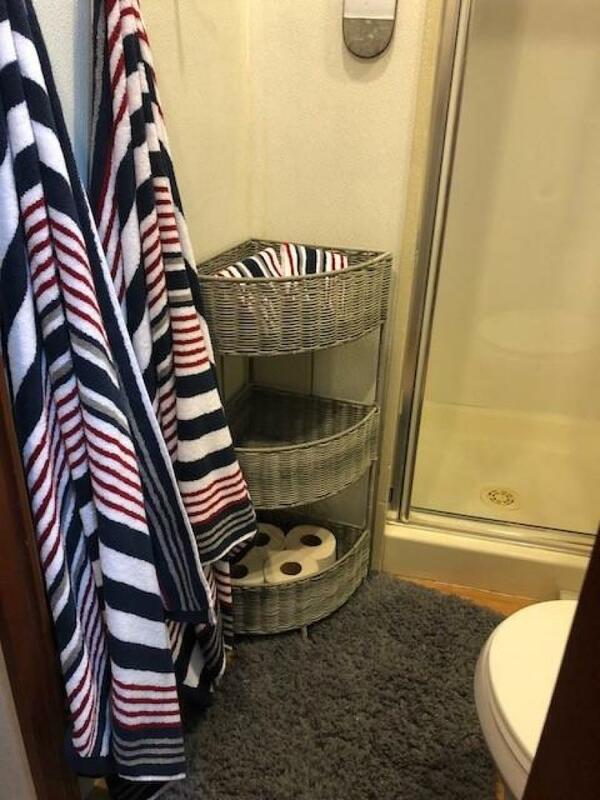 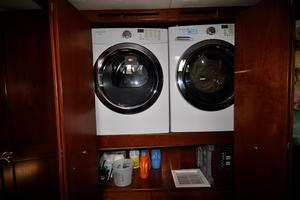 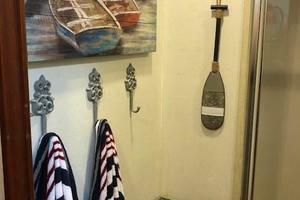 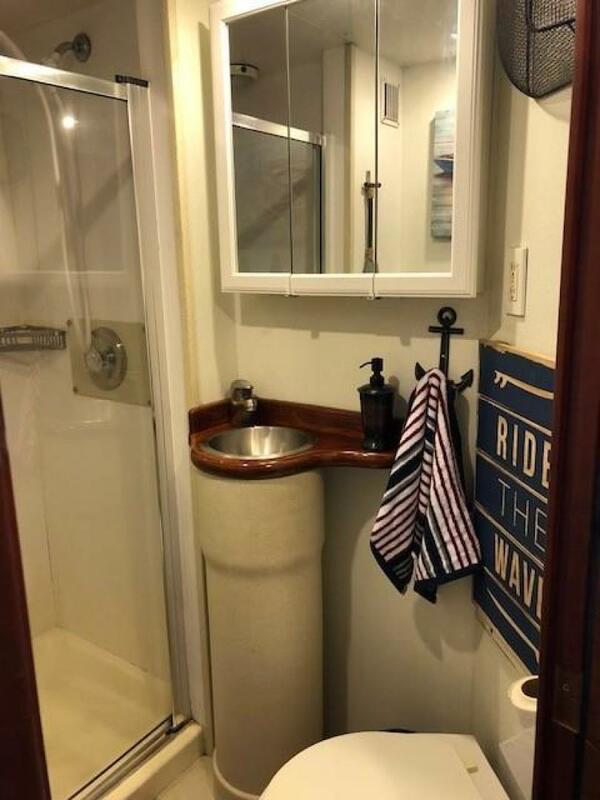 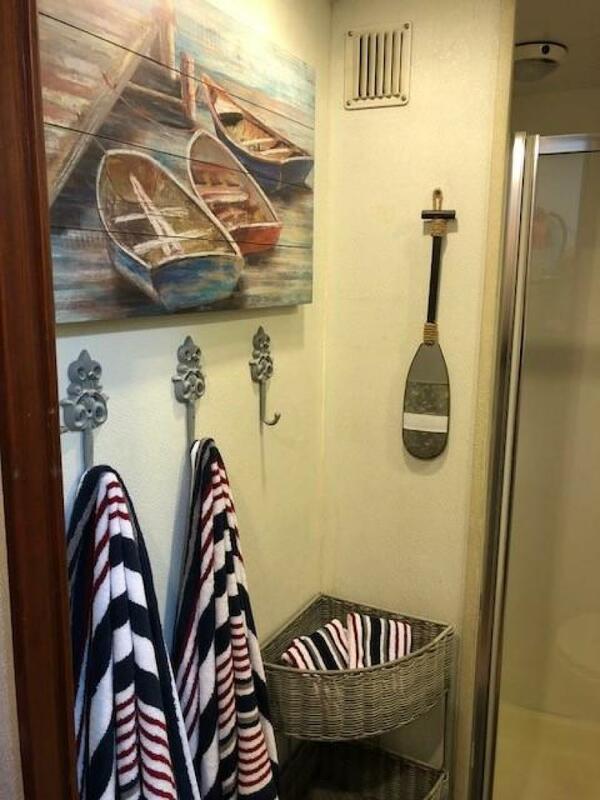 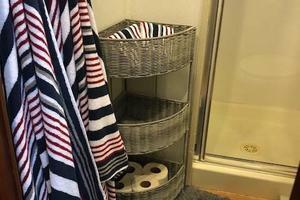 Accommodating up to 8 guests in 4 large cabins each with their very own ensuite bathroom, plus a captains cabin crew quarters and separate bathroom. 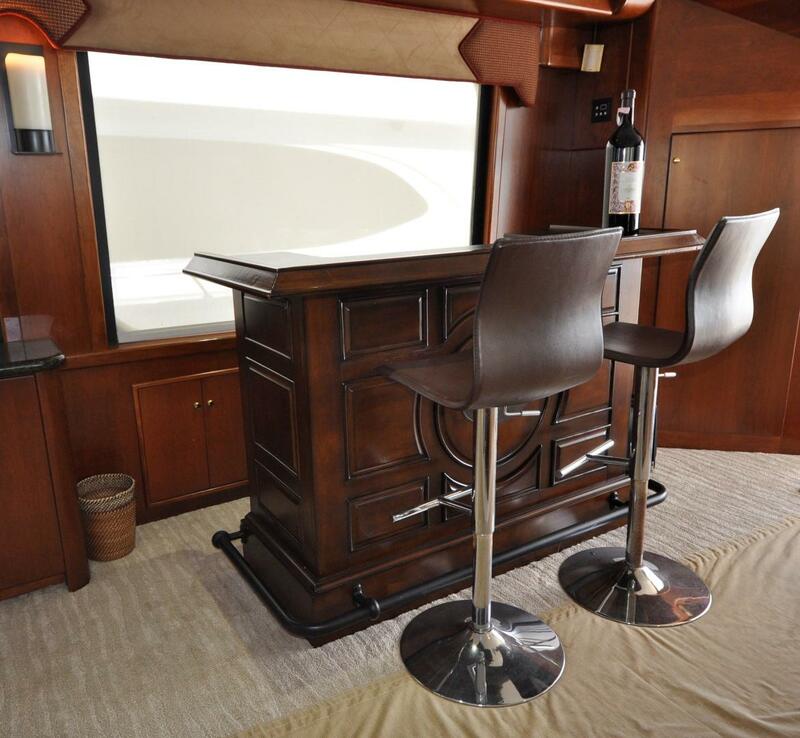 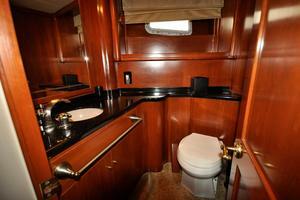 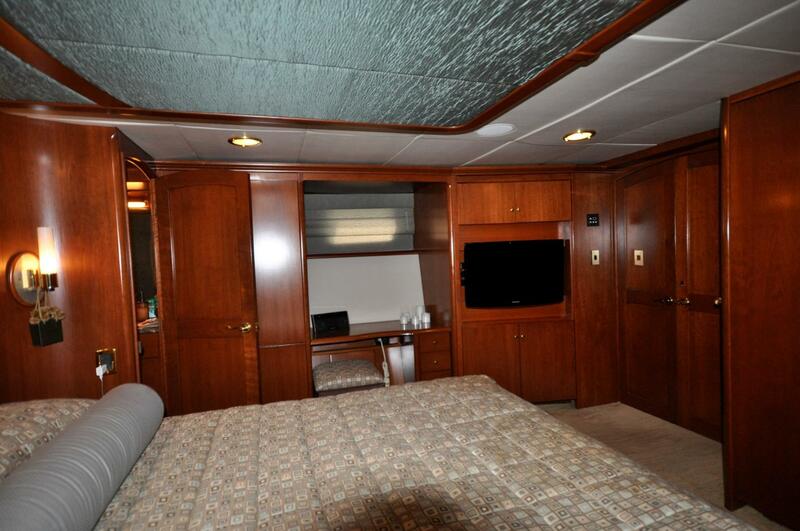 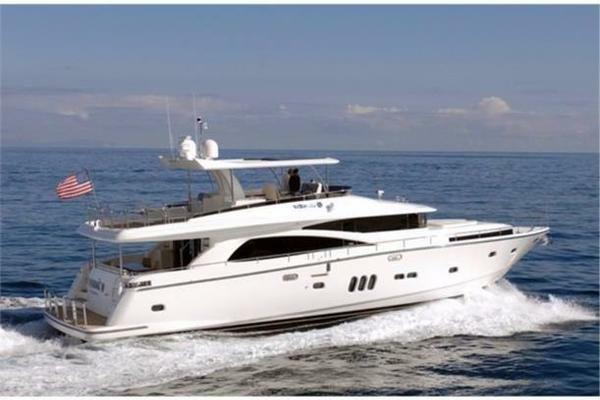 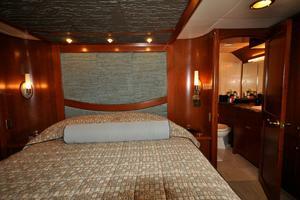 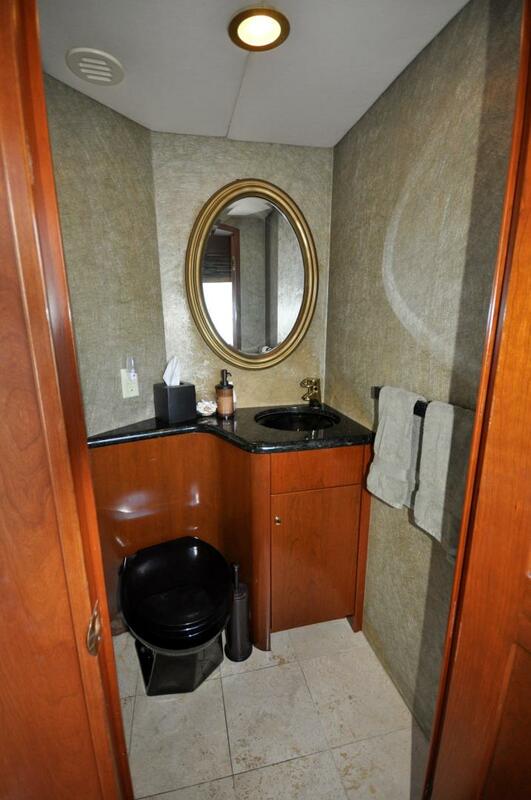 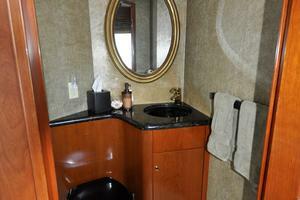 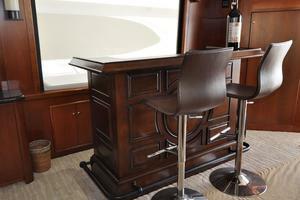 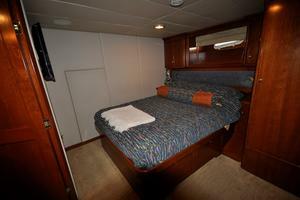 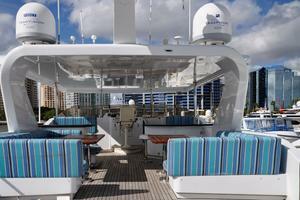 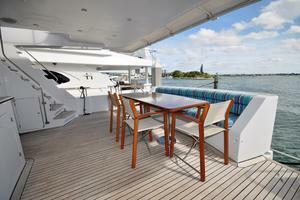 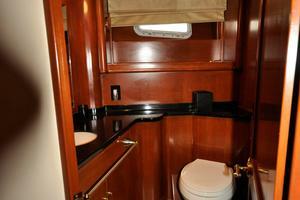 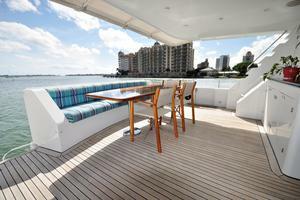 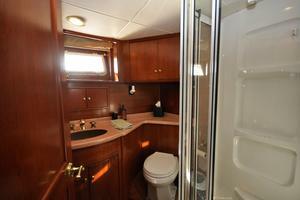 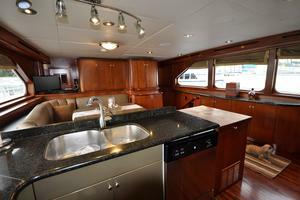 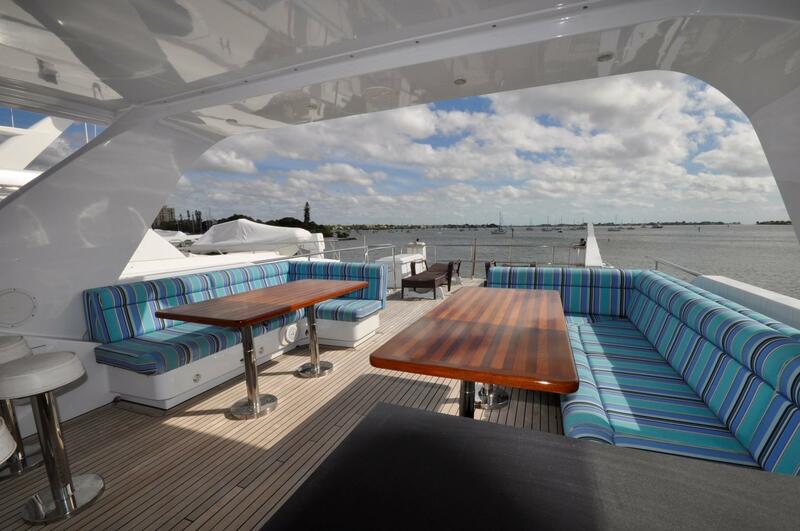 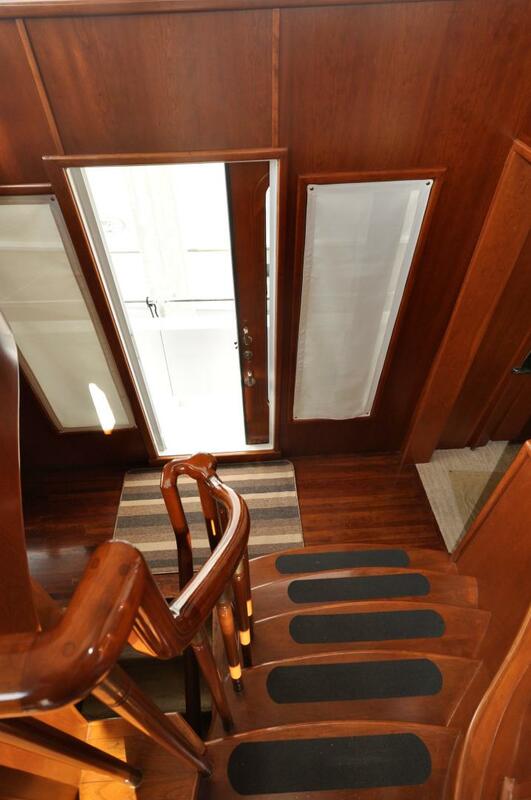 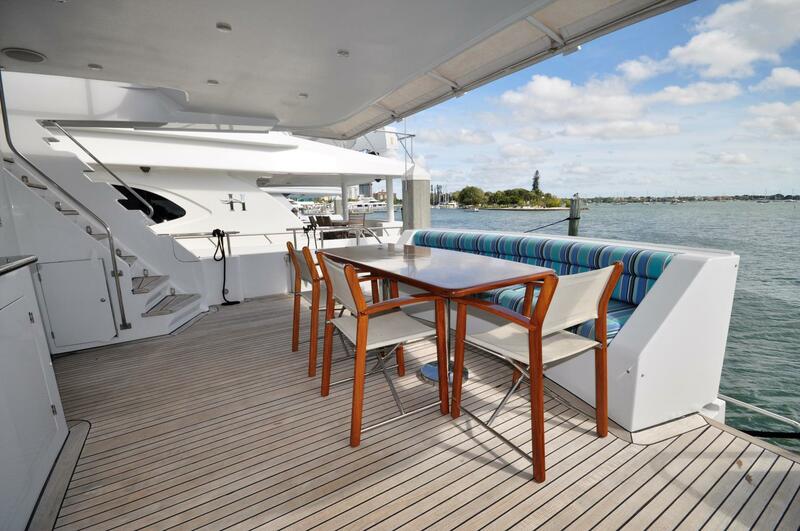 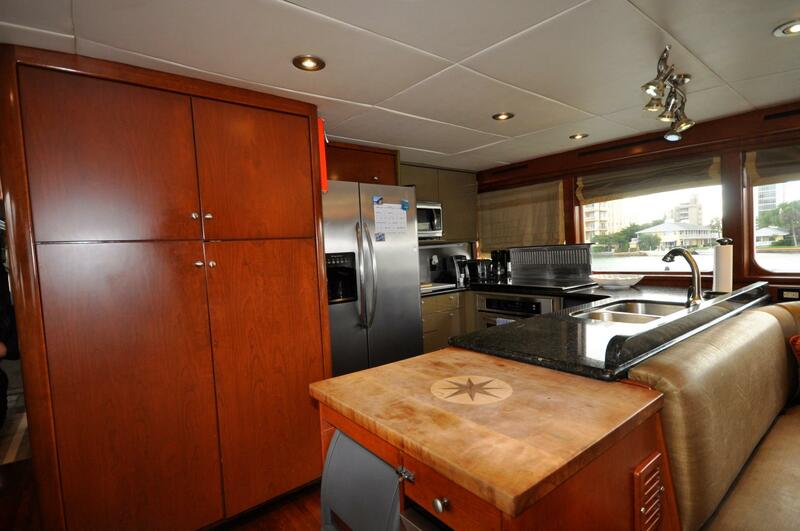 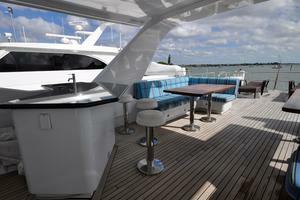 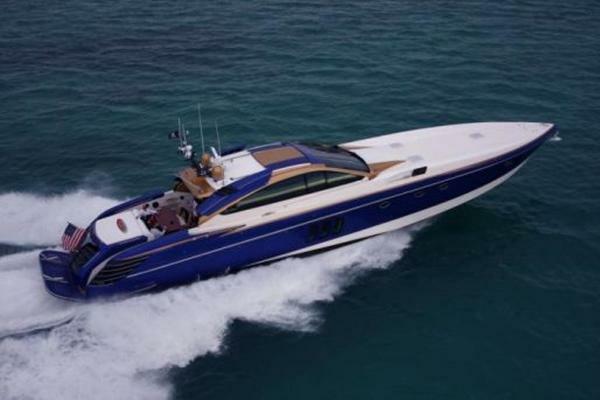 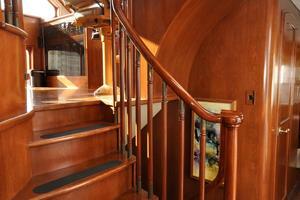 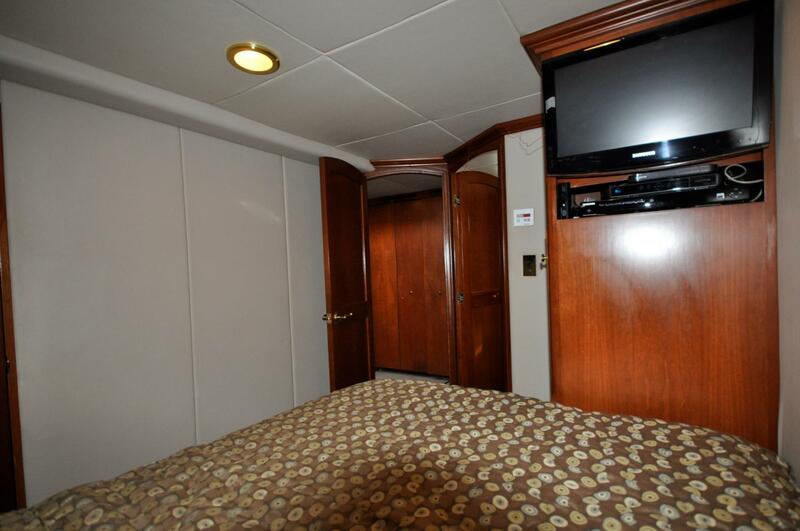 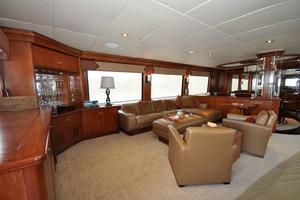 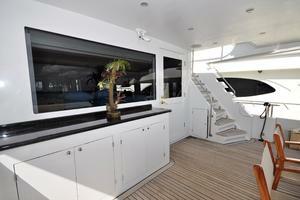 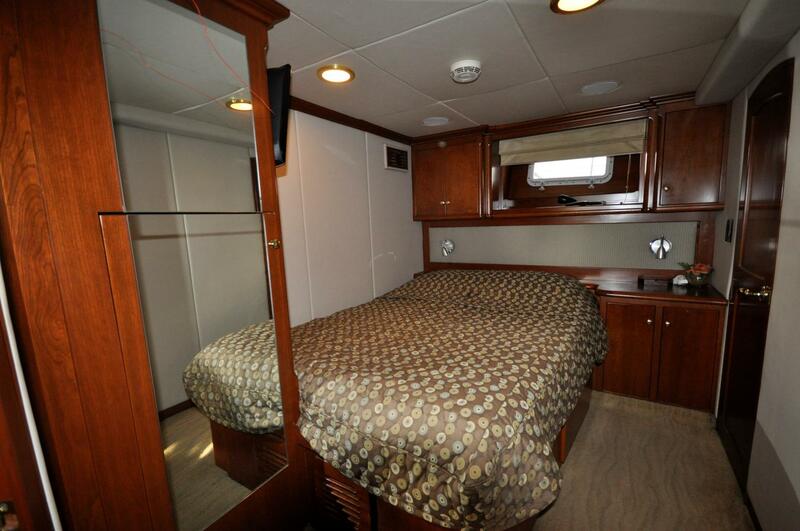 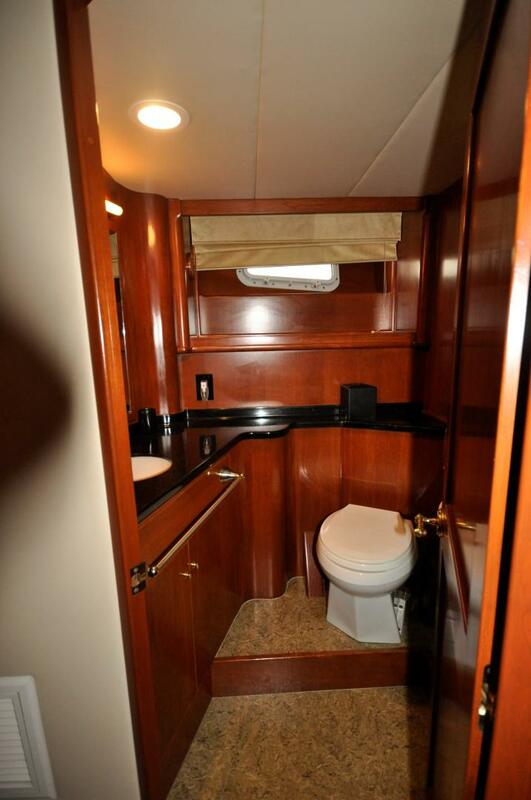 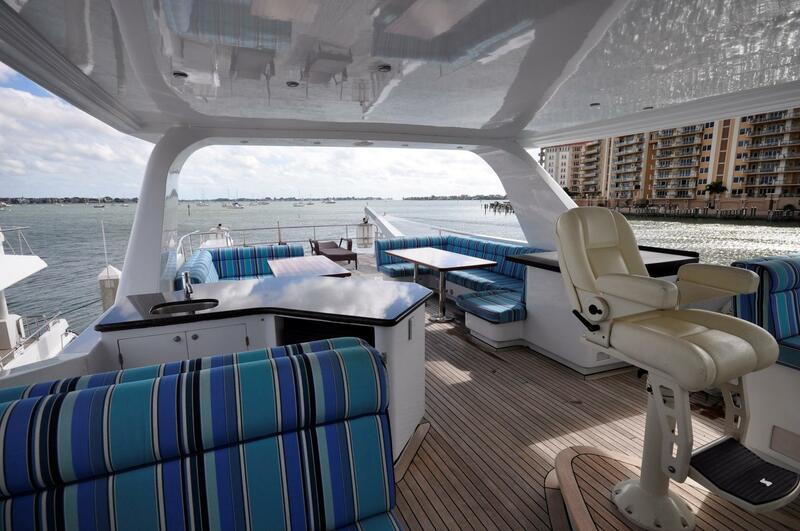 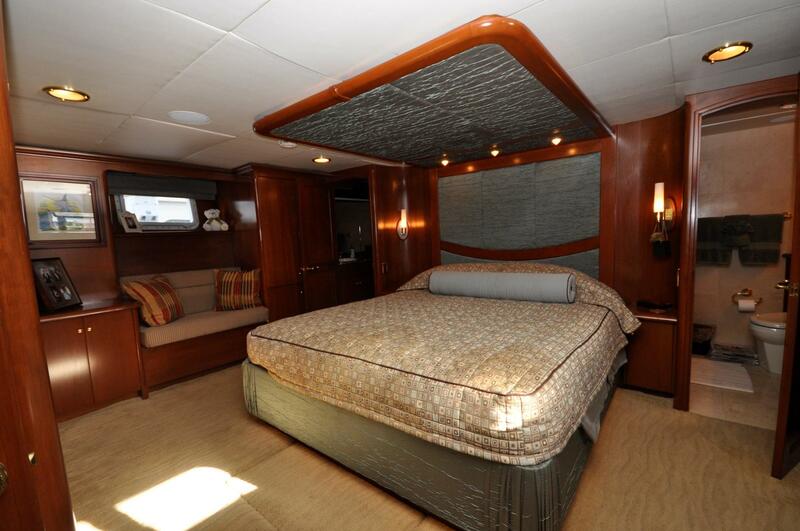 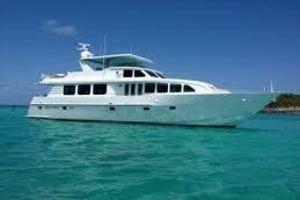 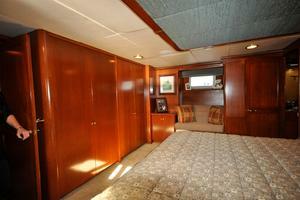 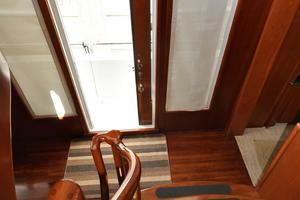 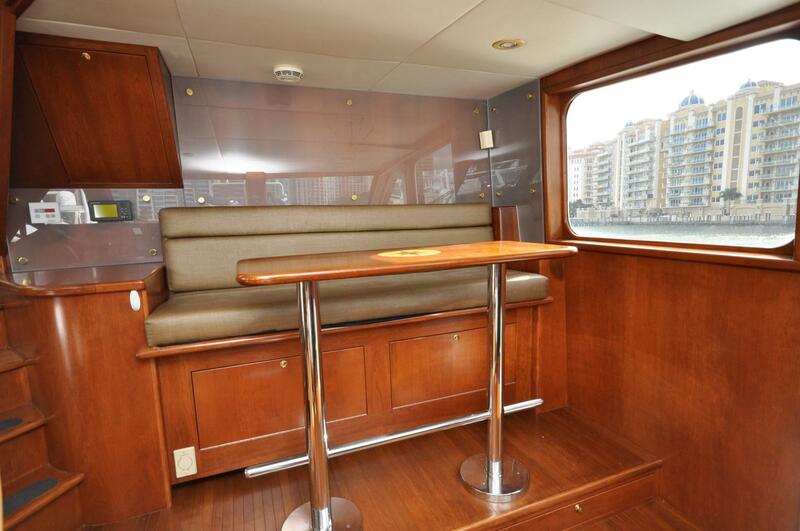 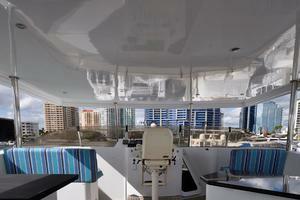 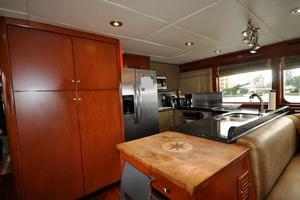 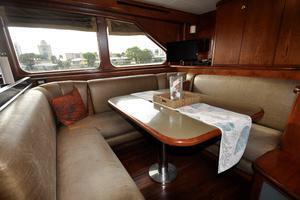 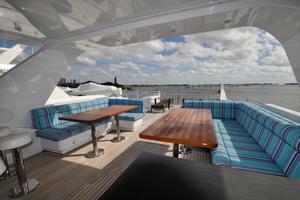 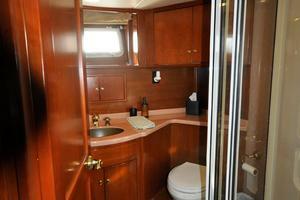 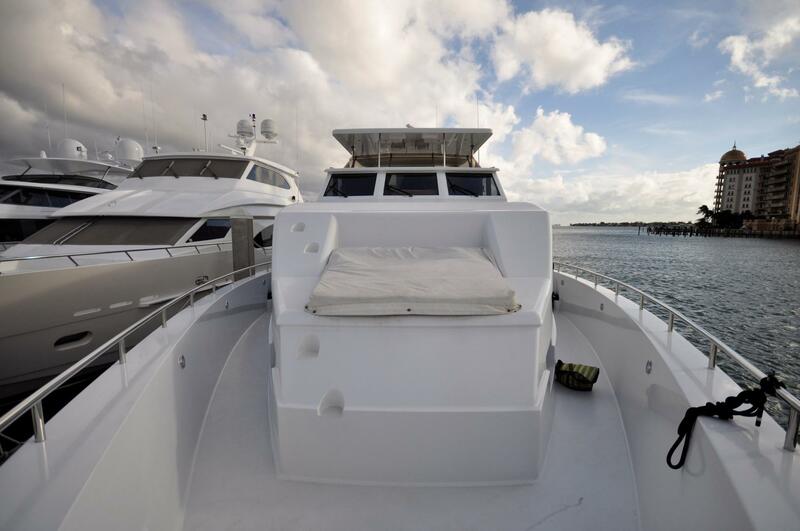 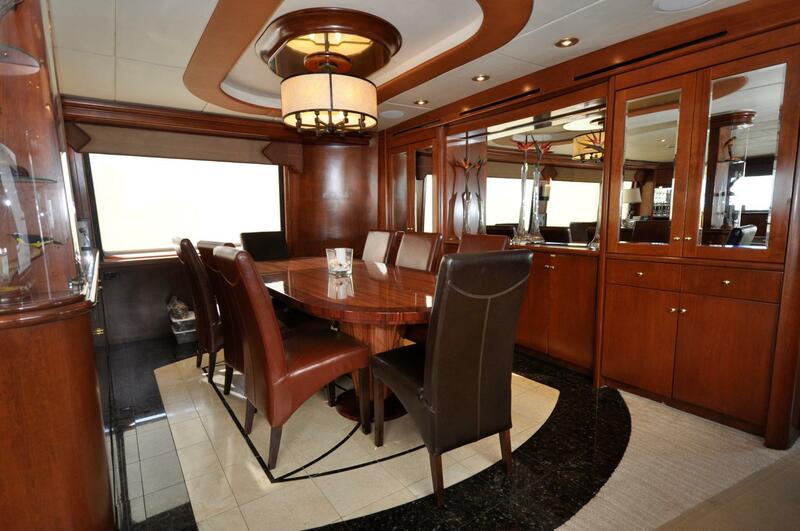 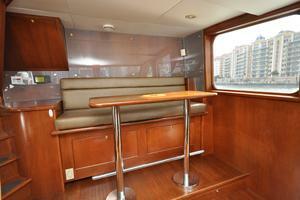 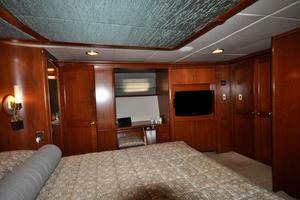 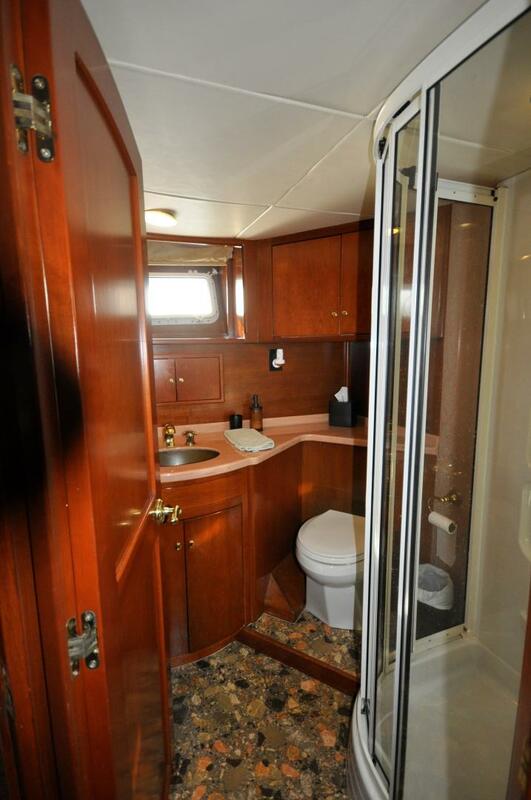 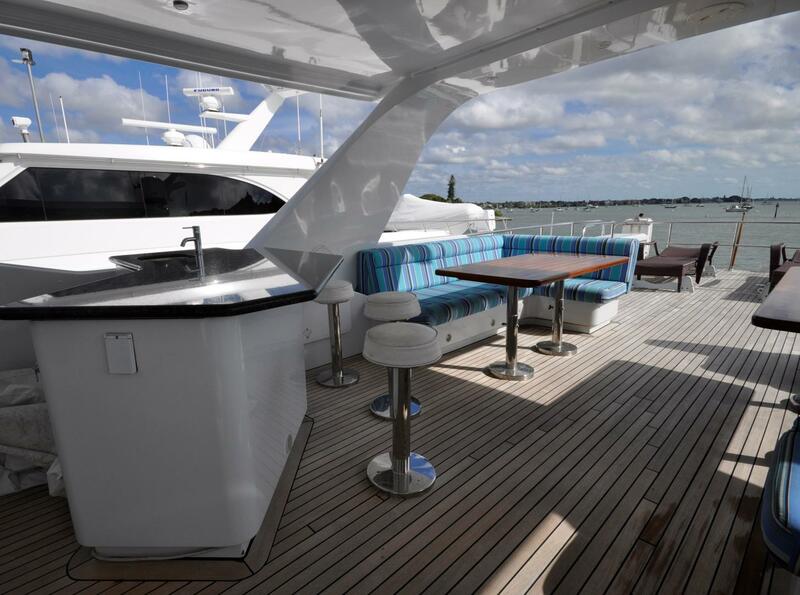 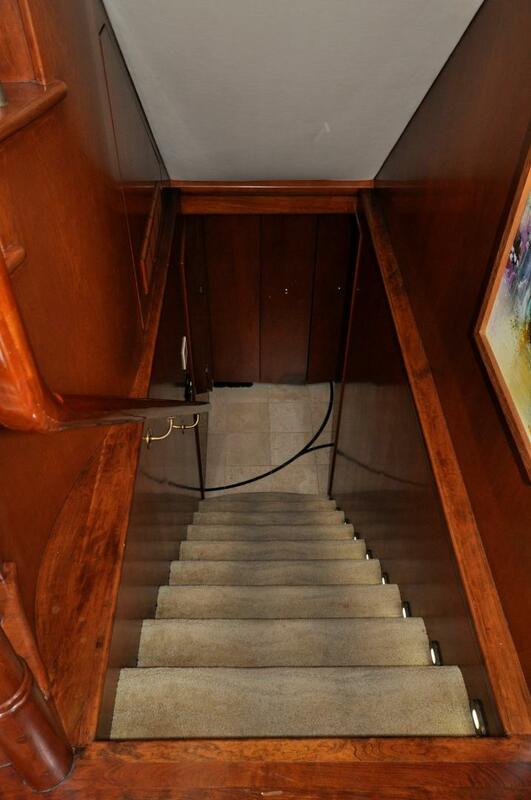 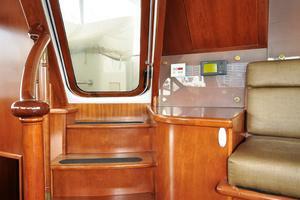 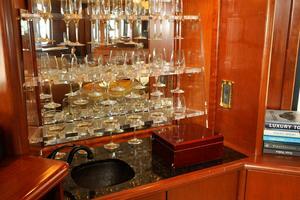 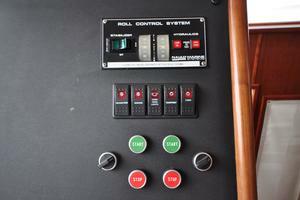 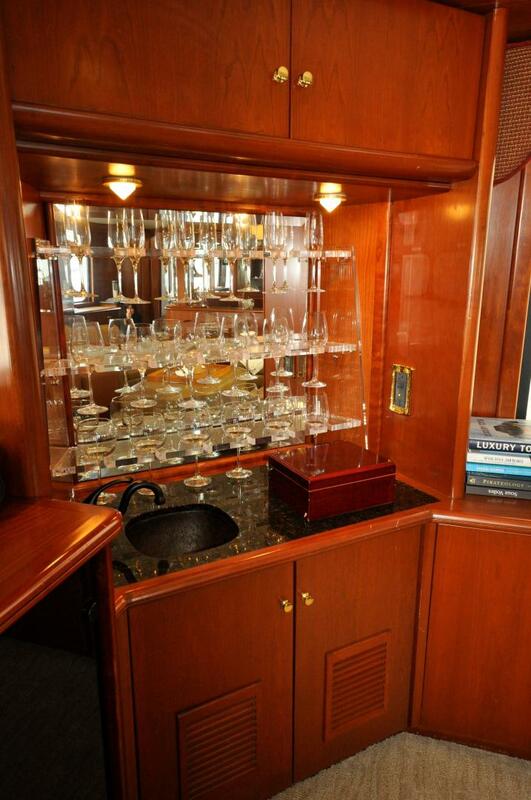 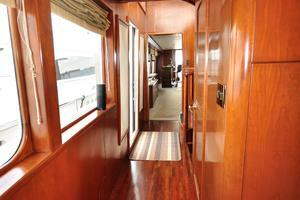 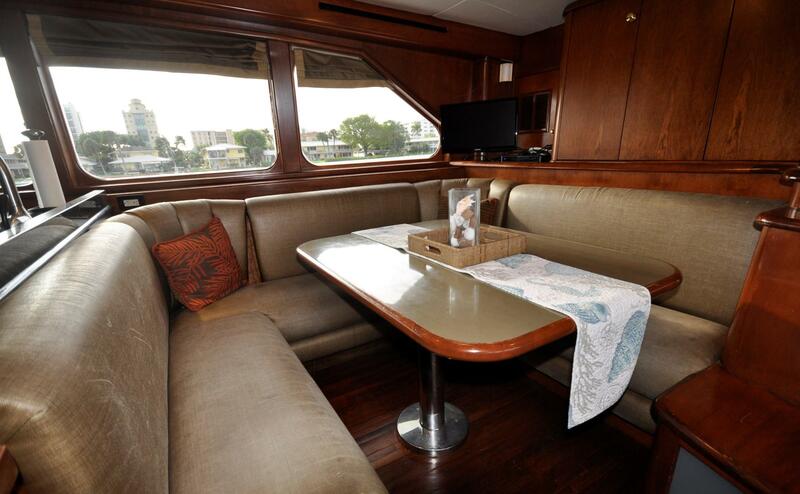 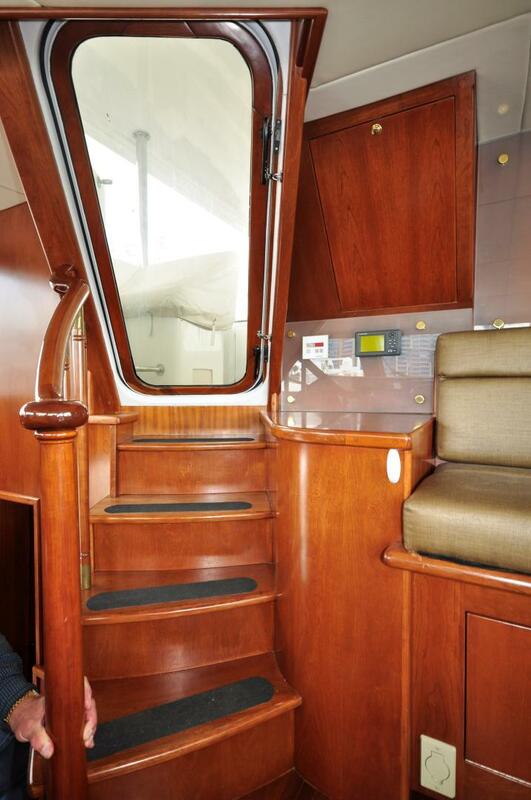 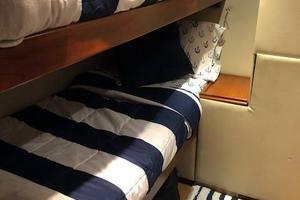 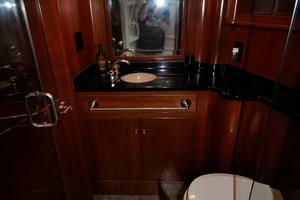 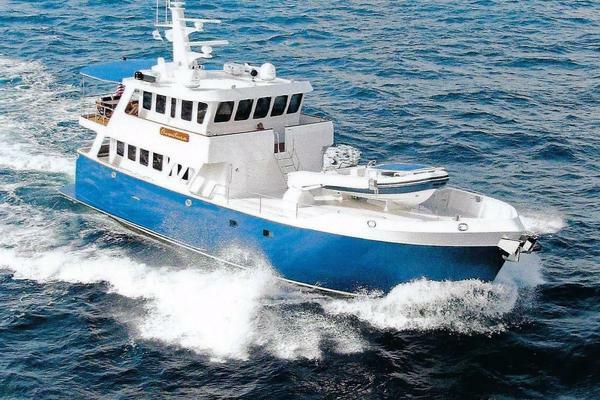 This Custom Motor Yacht boasts 4 guest and owners cabins complete with ensuite heads and showers. 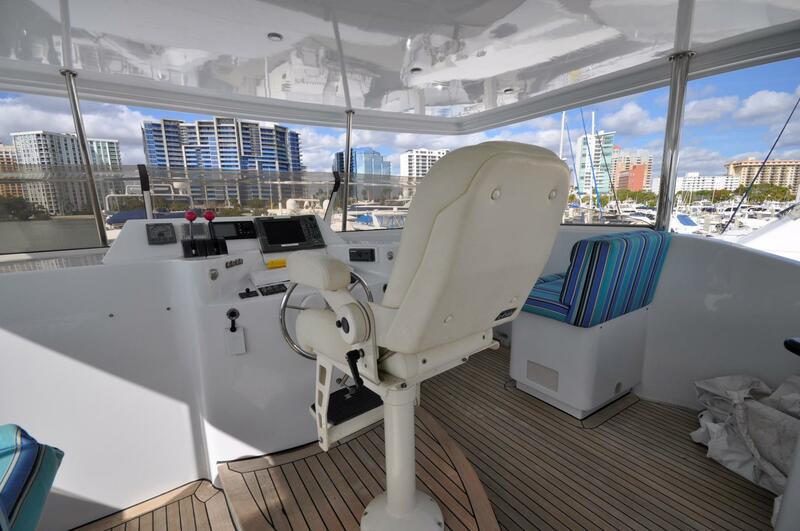 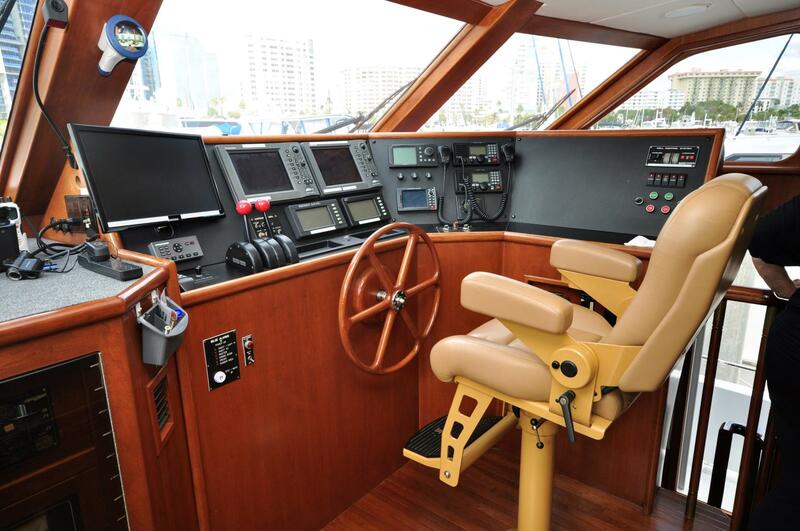 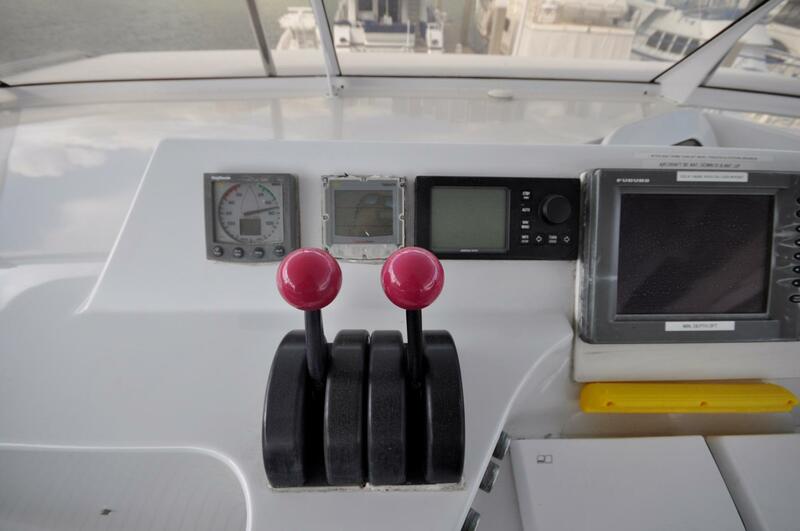 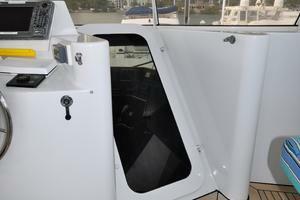 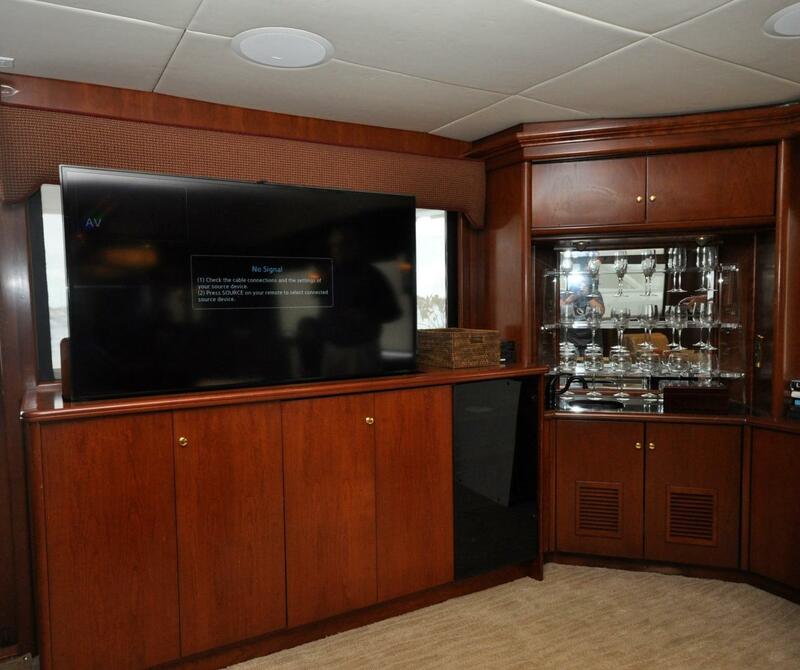 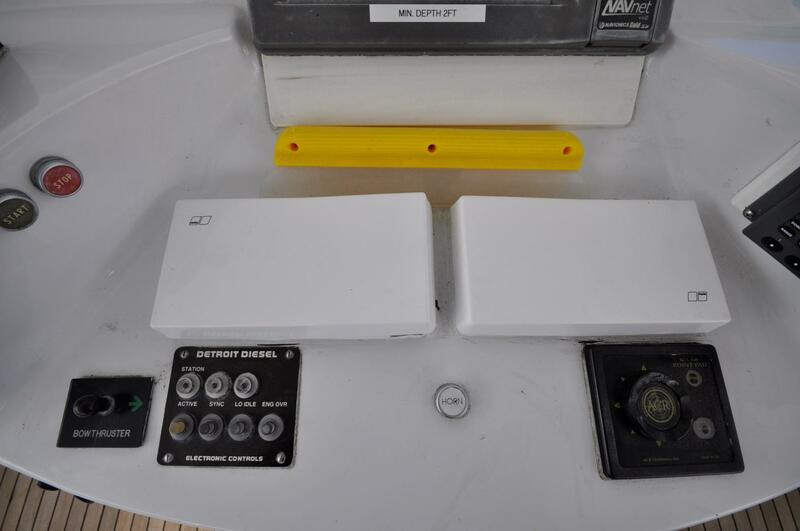 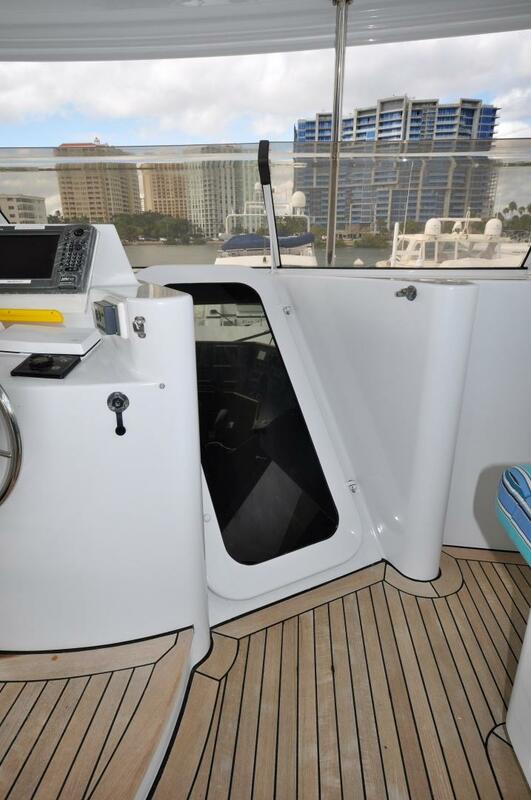 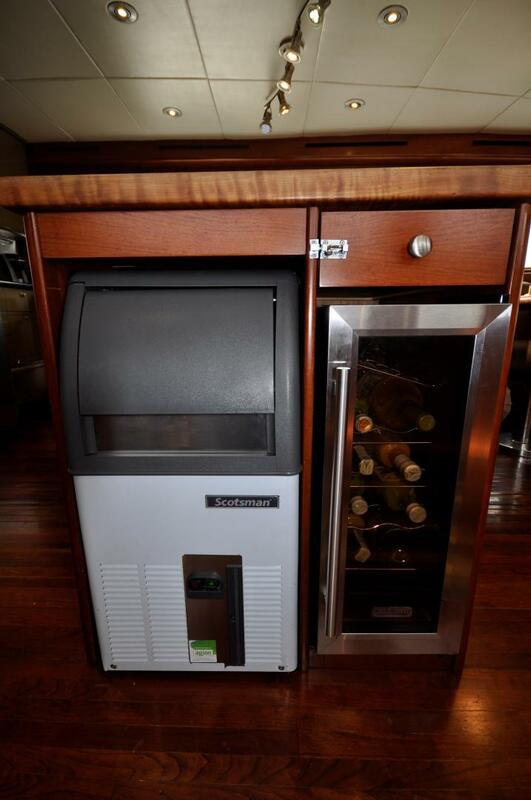 Gorgeous raised pilot house with a full watch bench for 4 with a beautiful custom table and navigation center with electronics package. 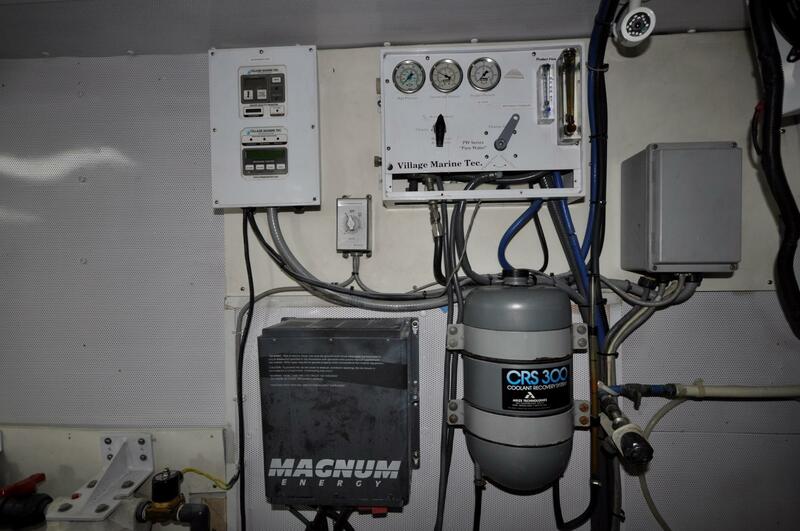 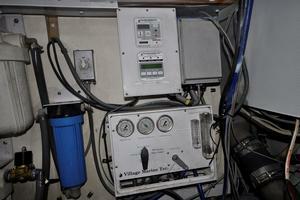 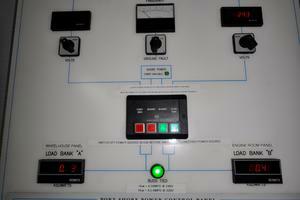 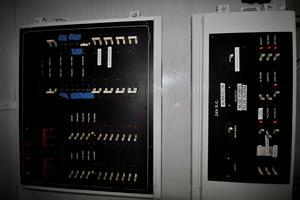 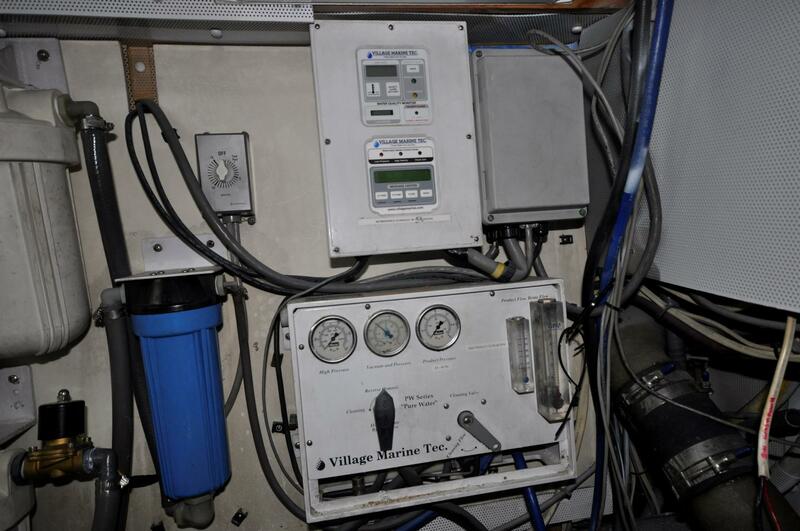 A total rebuild is reported at 4550 hours, current readings are approximately 5,900 hours. 2015 The boat was hauled. 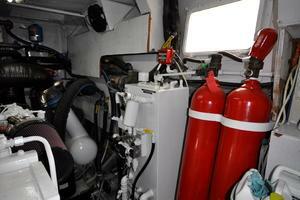 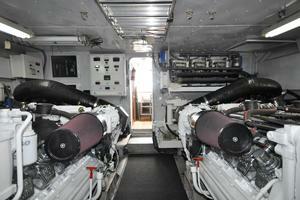 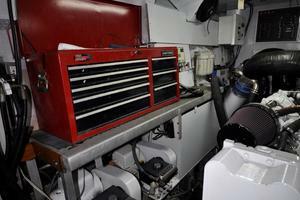 Shafts and propellers were inspected and new cutlass bearings were installed, the engine re-aligned.